This month we welcome Professor Dominic Wilkinson from Oxford to discuss ethical dilemmas in perinatal medicine. Professor Wilkinson, a former neonatologist from the Mercy Hospital for Women, is the current Director of Medical Ethics at the Oxford Uehiro Centre for Practical Ethics, University of Oxford and a consultant in newborn intensive care at the John Radcliffe Hospital, Oxford. He also holds a health practitioner research fellowship with the Wellcome Trust and is a senior research fellow at Jesus College Oxford. He is an expert on ethical dilemmas in perinatal medicine, and was recently involved in the Charlie Gard case which pitched a family against the medical profession in the UK. Come and hear him discuss cases with our expert panel of clinicians. This will be an evening not to miss! As always, our Twilight seminars are free but please register your attendance with us using the link below for catering purposes. Remember, refreshments available from 6.00pm, with the seminar commencing promptly at 6.15pm. 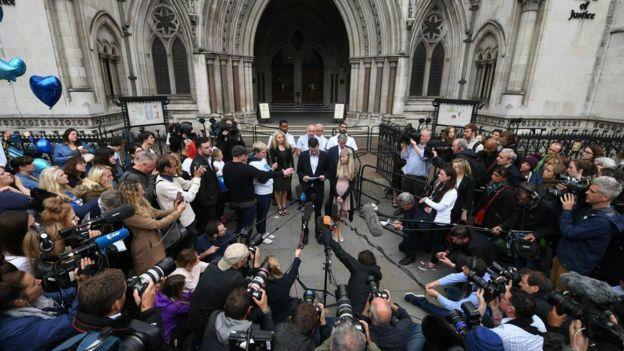 The plight of Charlie Gard attracted worldwide attention as a result of the legal fight that pitched his desperate parents against the medical profession. If you are unable to attend in person and wish to participate by Webinar, please register separately here. Natalie Harris can be contacted at mercyperinatal@mercy.com.au for any enquiries.